Freelancing comes naturally to a very few. Typical 'self-employed' journeys consist of intense struggle, when stress creeps onto you the first thing after opening your eyes and doesn't really ever leave, apart from a few restless hours at night. What frightens freelancers the most? Making enough money or being good the work they dream of? However, a lot of people become freelancers almost accidentally - they are excellent at what they do and the work comes to them seamlessly. Is there a strategy to success? Alexander Taralezhkov looks healthy, happy and anything but anxious or exhausted. In Alex's world play is equal to work and so he steadily sails through stormy days & nights. He's the freelance head of design at Busaba Eathai, the creative director of Code Quarterly publication and now Alex is also setting up his own Taralezhkov Design House. Annie Dillard once said: "How We Spend Our Days Is How We Spend Our Lives". 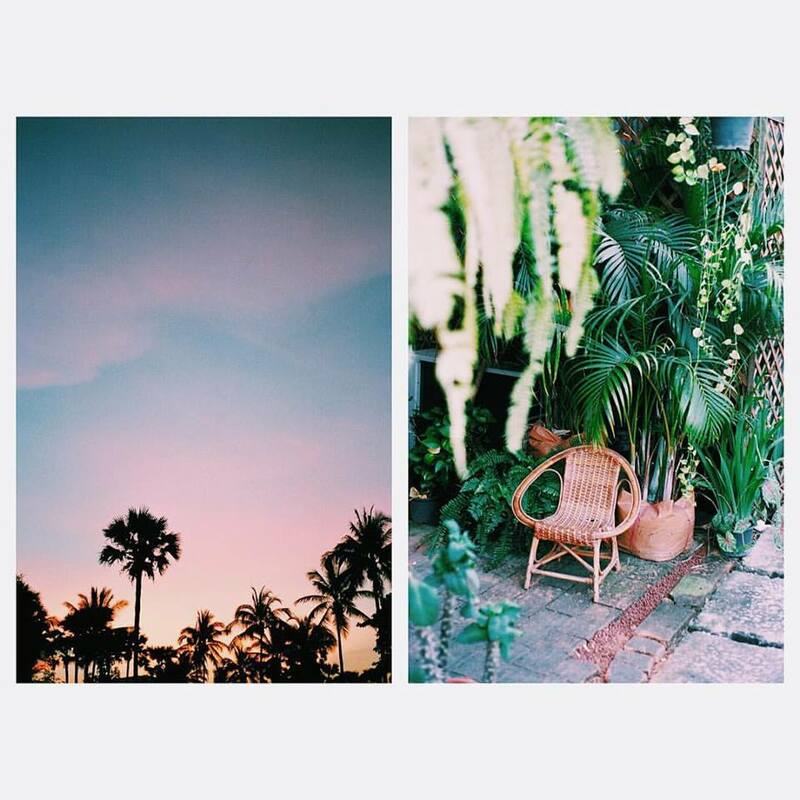 Keeping in mind Alex specialises in Hospitality design, we gathered a collection of everyday images he took with his iphone and shared on social media - they are full of curiosity, constant research and simple enjoyment. We also talked about decisions he made even before joining university, the importance of having a direction and carefully choosing the work you do. Ok Alex, how did you go about deciding what to study and choosing the university - in your case even the country too? Product design felt like a field where there was a good balance between creativity and structure. Camberwell College of Arts is where I did my foundation year followed by bachelors at Central Saint Martins. Both were recommended to me. Interestingly I have never been to the UK before I moved here for university. In fact the first impression of London I had was when emerging from the underground at Elephant and Castle. I remember being surprised by how much brick buildings there were around. What was your first job after university? Did you feel a huge pressure to go and get a job or did you consider freelancing? It was at a merchandising company, which worked with the film industry. The CEO was quite a character. Everything was manufactured in China pretty much overnight. For one of my first projects there I created a sword-shaped flash drive, which got held at customs, categorised as a weapon. I’ve never known the security of a permanent job, as I had always been a freelancer up until recently, when I set up my own company – Taralezhkov Design House. Freelancing could be a struggle at times, but it does foster discipline, as well as allows you to be in charge and be creative with your work. What do you think are the biggest fears when leaving education and what do you think when looking back at it? I never thought it was something to be afraid of, in my mind It was rather exciting. Recently I came to realise that I am one for the long run, sprinting is not really my thing, so I guess I just let things unfold naturally now. That really allowed me to shake off the pressure and focus on what I find important for growing as a designer. Can you describe your work and a typical day at the office? Hospitality design and direction is what I like to call it. For me it encompasses the broad range of things we do from product and graphics through to digital and branding. A day at the office I suppose is quite varied. I could be styling a food photography photo shoot one day or working on the new brand direction the next. You have been working at Busaba Eathai for long time and seen the company grow from a few small restaurants to an international group. How did it affect your personal growth? I have certainly learned how to work with different people, which is so important for a designer. After all they are all my clients. Sometimes it is from the least expected source you learn the most. Personal example is very important. What do you think are the qualities of a modern designer and what skills really earn promotions? Creativity and professionalism. I enjoy the fact that more and more boundaries are breaking down between different disciplines too. I would like to see a more holistic approach to design throughout all. You have been collaborating with Code London. Can you tell us more about the project? We are currently working on the second issue of the CODE Quarterly publication, which is distributed around some of London’s best restaurants, hotels, bars and private members’ clubs. The second issue would be coming out towards the end of this year. It is a very exciting project as we are given a lot of creative freedom. The magazine will be growing, getting better and I hope that we would create something that everyone from the Hospitality industry would be anticipating. The entire CODE project is certainly one to watch, especially with it launching in New York soon. If you had to describe the thought process… how did the development look like, what issues did you encounter and how did initial idea change? I think with CODE Quarterly the key word is quality. The written content has always been to a high standard it just had to match that level visually. It is still a project in its early days, a lot of work to be done. How do you keep the balance between personal life and work outside of work? Design isn’t something you really ever switch off from. But I like it doesn’t feel like a burden, quite the opposite. I also aim to work with people I enjoy spending time with which helps. Where can we find you hanging out with friends on a lazy Saturday afternoon? You will have a good chance if you swing by the Barbican. Fishing: a day well spent, nothing caught. Alex photographs client's restaurant. Opening night. Michael is not a regular cheese maker - well, who is a regular cheese maker these days anyway? Mike's Fancy Cheese, the company he set up after dropping out of university, is now an award-winning cheese-making business based in Northern Ireland. Young Buck, the signature raw milk cheese, already drove Michelin-starred restaurant chefs crazy and can be found paired with ever-so-popular craft beer. We talked about Mike's Fancy Cheese crowd funding campaign and the bumpy road Michael took to turn his idea into a self-sustaining business (the story includes girlfriends, crazy partying, a huge debt and nice strangers). Mike, can you tell us a little about yourself? We'd like to know where you grew up, what did you do after school, what was your first day as a grown up, do you have a dog and if you were to write a book, what would it be about? I am from Belfast. A born and bred city boy with no farming or rural background. When I was at school I knew for sure I didn’t want to go to university. Unfortunately for me, I went to a well-to-do grammar school and the teachers were pushing everyone into higher education. It's hard to resist pressure when you're at that age and so I went to do Computer Studies (smiles), but as you can guess, I never showed up - I quit before I started! At that time, I was doing home care for people with learning disabilities and loved it, I just sort of thought the degree would be a waste of time and money. At the same time I thought myself as a bit of raconteur, learning to play guitar and reading loads of pretentious books! I had been the sporty type at school, had trials with Newcastle United, and played for the local North Ireland team Glentoran, but I quit football when I discovered wine, women and song (to the dismay of my dad!). I suppose this is when I started to realise that just because your good at something doesn’t mean you should have to do that thing all the time if you don’t enjoy it. For a while then, I was doing home care and really loving it. My next step was getting a social work degree, so I went to do it (Mike smiles again) - after the first six months I already hated it. Essays really aren't my thing! I dropped out. Keep in mind, I still had a large student loan in the bank plus the social work bursary... so I hit the road and drove around the UK for a few months living in my car or with strangers and having lots of fun. When the money ran out, I came back with my tail between my legs and needed a job to pay it all back. That was how I fell into my first food job, working in a family deli called Arcadia, on the Lisburn Road. Again, I hated big chains, and large personality type businesses - but loved the idea of working in a little family run deli where you knew all the customers. Back then, I was was about 19 or 20 years old. I still haven’t had my first day as a grown up, although when you see £74,000 in your bank account that could have been it! Oh and I have a cat! Fred, he's chill, loves cheese and shedding hair. Again, like me! Ok Mike, let's get serious -what’s your pitch? How do you describe what you do in a sentence or two? I make cheese. I sell cheese. I run fun events that involved people eating cheese and getting drunk in strange places. We also have the tag of starting a new tradition of raw milk cheese making in Northern Ireland, being the only raw milk cheese makers. How much cheese do you eat on a normal day and what is the best way to enjoy a piece of cheese? Not that much - don’t want to be eating the profits! When the orders come in, me and Jonathon (my friend and employee) will taste through the batches on the shelf talking about them and where best to send them. So we eat a lot of Young Buck, and its amazing, how different it can be each time. ‘Mikes Fancy Cheese’ - the name of your company is very fun and a little cheeky. How did you come up with it? Before I raised my money through crowd-funding, I was looking at the option of purchasing or hiring all the equipment, so I needed to register as a company. I didn’t know exactly what type of cheese I'd be making at this stage, so I couldn’t name it after a signature recipe or similar. I was reading an old American cheese book form like 1908 and there was a section in it talking about “fancy” cheese, which was basically any cheese that wasn’t cheddar. I just really liked the term fancy cheese, and then I have no idea where Mike came from. No one ever called me Mike or anything, I like to say I have 2 personas now, Mike for business, Michael for leisure. "I like to say I have 2 personas now, Mike for business, Michael for leisure." What’s on the playlist while you’re in the kitchen? When we are making cheese we'd usually have talksport blasting! Haha, I know its not cool or trendy or hip, but there is something about talk radio that I love! I really like the fact people want to phone in to air opinions. Sometimes people can become a bit inward in artisan/tech/hip circles, and forget that we are the minority and if you're only interested in what the minority are doing then you're missing something. Like for instance, the elections, everyone on my Facebook and twitter were all so shocked that conservatives got back in, because their liberal friends on their Facebook feeds were full of labour voters! I just went a bit off topic, but you get the gist yeah? What’s the best thing about Living in Newtownards? I actually still live in Belfast. Newtownards is about 30 mins outside Belfast, that’s where all the cows live! Me and Jonny head out about 6.30 when there's no traffic, and then when we are on the way back, we can do all the deliveries to save having to spend a whole day just out delivering! Was running a business your big dream and a life goal? Some entrepreneurs say they are a bit unemployable, so they never really had much to choose from apart from starting on their own. No, I never had an idea of what I wanted to do. I loved working in the deli, it was great: you could go out, enjoy a few drinks, wake up ,go to work, spend the day among great people and then go home and not have to worry about anything. It was actually on one of the first dates with my girlfriend now of about 7 years. We were causally talking about what we wanted to do with life and I said I wouldn’t mind working in the deli forever, and she basically told me to drop her home because, if I had no drive what was the point? With a few friends I used to put on club nights and loved that idea of having complete control over something. We are still pretty close - one of the guys is now a stand up comedian and the other does all my graphic design and recently quit his job to focus on hand painting signs! A lot of people move to London to start a business, you headed to Northern Ireland. Did not living in London work out as a strength? Pretty much. Our USP as a startup looking for money was that we were going to be the first raw milk cheesemaker in Northern Ireland. I had been offered the opportunity by one of my customers that they would fund or co-fund me to make cheese in England, but moving back to Northern Ireland was always on the agenda. I wouldn’t be doing this, if I wasn’t doing it in Northern Ireland, at the age of 25 a lot of friends were moving away to London or even Australia in search of 'the good life', but I wanted to create something that would drag people back! That’s why we run 'pay-what-you-want' beer and cheese nights. I want Northern Ireland to be a place people want to come live in. It was a long journey and not something that was intentional. When I left the deli, it was to go to the School of Artisan Food, to do a cheese diploma. I knew I wanted to move back to Northern Ireland someday, but I thought we were talking 10/20 years kind of thing. I was writing about cheese at the time www.onemanandhischeese.blogspot.com just for a bit of fun. Then, as part of the course, there was a trip to France to see some of the best cheese affinuers (maturers) and producers of comte, that weekend I went for a night out in London and got a bit tipsy and lost my passport and a few other things so I couldn’t go! I was not going to waste the 2 weeks and got in touch with a cheesemaker in Leicestershire, went and helped them for a fortnight and that’s where I ended up working when I left cheese school! During cheese school I was always thinking how am I going to make this into a business, as everyone who was making cheese seemed to come from a family of farmers, or had been working in the city and got a large redundancy payment, and here I was racking up debt to learn about cheesemaking. So that was always in the back of my mind when I was making cheese! I returned to Belfast about 3 years ago on the hope that there might be some interest, I had been in discussion with guys who make yogurt and have a big estate, but that fell through as they wanted control over everything which I wasn’t ready for doing. I went down all other routes of traditional banking and being 26 with no security... they weren’t ready to hand out the 80k. We didn’t fall into any start up schemes here either - lots of small loans or venture capital for high growth companies - not exactly cheese business, is it? I was running out of options when equity crowdfunding idea popped along. Someone had mentioned kickstarted, but 80k is a lot of cheese to give away, and it was when I was researching that I came across Seedrs. Did you work evenings and weekends and had a day job? How did you pay your first rent after starting the company? I was doing a bit of part time in the deli, but included in my start up was a wage, as we needed to start making cheese regularly in small batches to reduce any chance of wastage, so I was full time from when we made our first back in Nov 2013. How far did you get before raising money? And can you tell us about the preparations for the seeders round? I knew how to make the cheese, I wanted to make it and had people in line to buy - it was just about trying to convince people to give me the money! The Mikes Fancy Cheese Branding was already in place, Young Buck was developed as we watched the cheese mature in the store. So the minute I found Seedrs, I whacked up a campaign around Jan 2013. After 3 weeks we were at about 14%, in crowd-funding, momentum is everything... I thought it was a case of once its up you can sit back an relax. I was really wrong. I happened to be at a crowd-funding day in Belfast, where they explained what it was. Actually, I was the only person who had a live campaign, so after the free lunch anyone who stuck around had a good interest. I pulled the campaign out on the projector and got feedback from everyone. One of the first comments was that the video, was basically me talking to a web cam. There happened to be a guy who ran a video company, he said he could do me a video for free with the idea we'd work together, if it was successful or he could use my terrible video as an example of what not to do. So he did the new video and we took down our campaign, let all the investors know what the craic was and why we were redoing the campaign, with all our PR then in place we relaunched with already 12% in March 2013 and 28 days later hit our target. Does Life Gets Better Post-Investment? ...or is this where the pressure begins? Yes! Getting builders to give you realistic time frames and waiting on expensive equipment to arrive was the biggest pressure. But since then taking on my best friend as an employee has surpassed that, as now we have to make cheese and money! Our equipment! It took about 16 weeks to arrive! Can you give us a simple step-by-step guide to scaling up? We do it in such a gradual way it hasn’t effected production or anything really. Our unit was always ready to produce a certain amount of cheese, it was just a case of fitting in an extra make, buying more shelves, trying to time making more cheese with getting new customers - the cheese takes 4 months to mature. Our biggest issues were how to deal with bad cheese as we doubled the amount of milk in each batch, I won't bore you with this! How did you find your first customers? …And then more customers? The customers were always in place. I had been going around telling people I was home to make cheese for about a year, so pressure was to get it out to the waiting customers. It was a case of when the cheese was ready and just going into the best restaurants and asking to speak to the chefs or owners. You learn not to be shy. There was a huge demand locally, as we made a good product and it was local too. How do you go about social media and creating content? I try and be as open as possible with what we do. I love using Instagram to take pictures of cheese, the making process, anything fun we are doing to get people stoked on cheese life!! What about marketing? What worked for you? Never have enough cheese! People love something they can't have. So we have made sure not to get too big too quick. 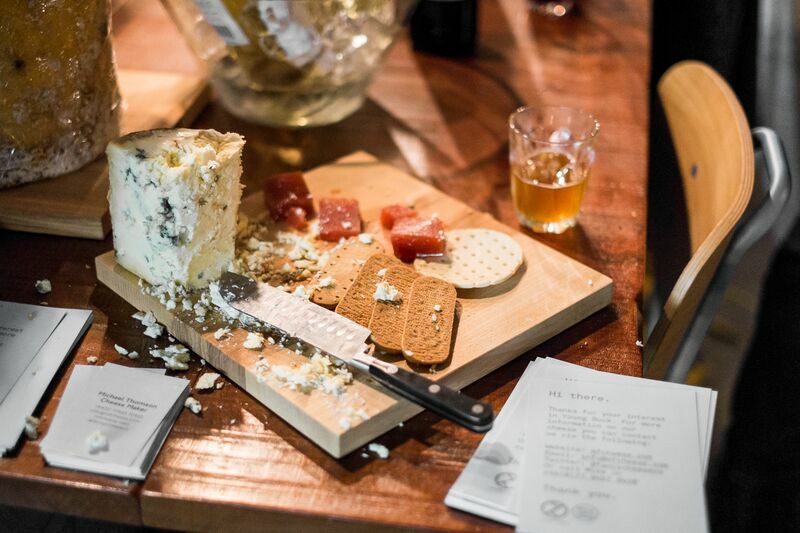 We entered our cheese in the Irish cheese awards, in the first year we won silver and this year we won best blue, so things like that really worked and got the word out! I guess it really was about embracing cheese. I am known as the Cheeseman, I go to gigs, bars, shows, poetry nights and I have to be be social - you never know who you can meet on nights out. People love doing business with people they like, my biggest customers are also my friends, they give honest feedback on our product as we are always working with them to make sure they have the best cheese out of us. You can't possibly have enough of raw milk cheese, it is never done!! Founded in 2009 by Christina Agnew and Clare Neill, Radiance Cleanse was the first high quality nutritional and organic juice cleanse program to hit the market in the UK. Transitioning from their previous corporate careers, Christina in law and Clare at a private equity fund, they embarked on their own entrepreneurial venture together. Both founders are balancing motherhood and a business; they discuss their top tips to approaching a happy work/life balance and their best advice for setting up a business. Please can you both introduce yourselves? Clare - I’m 33 and married with a little girl called Eve who’s nearly 2. I grew up in Edinburgh, which is where I met Christina, but I was born in England and I’ve been in London for over 10 years. Christina – I’m 33 and I’m married with 3 little boys, aged 4, 2 and 8 months. I’m originally from Edinburgh but have lived in London for more than 10 years. Christina: Looking back, neither of us was very well suited to the corporate world and therefore we weren’t enjoying it much either! We were doing very long hours and although we aren’t work-shy it felt very restrictive and ultimately not satisfying. I had done a BSc in Nutritional Medicine for personal interest as much as anything and Clare had started radically changing her diet to overcome some health issues, including by going on a juice cleanse retreat. The professional and personal interest in nutrition, and juicing in particular, coincided quite naturally and as we were young-ish (and a bit naïve!) we thought we would give it a shot starting up our own business. We have been best friends since school so that helped hugely in giving us both the confidence to leave secure jobs for a much more uncertain future as entrepreneurs. Can you tell us about the process you took in setting up Radiance Cleanse? - How long was the gap between leaving your job and launching Radiance Cleanse? We actually got some of the basics of Radiance in place before we made the leap, including having done a huge amount of research – mostly into the juice cleansing options available in the US since there was virtually nothing like what we were trying to do in the UK at that time. -Did you seek business advice from other entrepreneurs? We are lucky enough to have a few close friends who run their own businesses and so we did bounce ideas off them from time to time. But mostly we just went with our gut instinct and crossed our fingers! -Did you follow a particular business model? We based our core juice cleanse programmes on successful models from New York and LA, since they are usually several years ahead of the UK in health-focused trends. However we added our own personal spin and also made changes to accommodate the UK market and customer. -How did you go about marketing Radiance Cleanse when you first started in 2009? As we were the first juice cleanse delivery service to launch in the UK we were lucky to receive a lot of press interest. That is much harder for everyone in the juice market these days as it's a lot more saturated. -How did your first customers discover you? Once we received one or two press reviews the customers who tried our service based on those reviews quickly started to recommend Radiance to their friends. Even from the early days word of mouth has been a major growth factor for us. We put a lot of time and effort into customer service and maintaining personal relationships with our customers. We make sure that we find ways to reward our most loyal customers as the company grows. -How has the company developed between 2009 and now? We have learned a lot about delivery logistics! When we first set up Radiance we thought it was mostly about creating juices. Now we are older and wiser we know that's the easy bit. We make the highest quality organic and cold pressed juices, beautifully packaged with full cleanse guidance and supportive accessory products like bath salts and bespoke herbal teas. The trick is to ensure this complete package arrives with the customer in exactly the same condition it leaves us, and that it arrives precisely when and where it is meant to. That is much easier said than done! So over the years we have got better and better at that side of things and built up a team who are second to none. Juicing and healthy eating is a very prominent area of interest at the moment. New products are reported in the media everyday. -How do you make Radiance Cleanse different from other juicing brands? What continues to mark Radiance out in a crowded market is that we put a lot of resources into customer service. 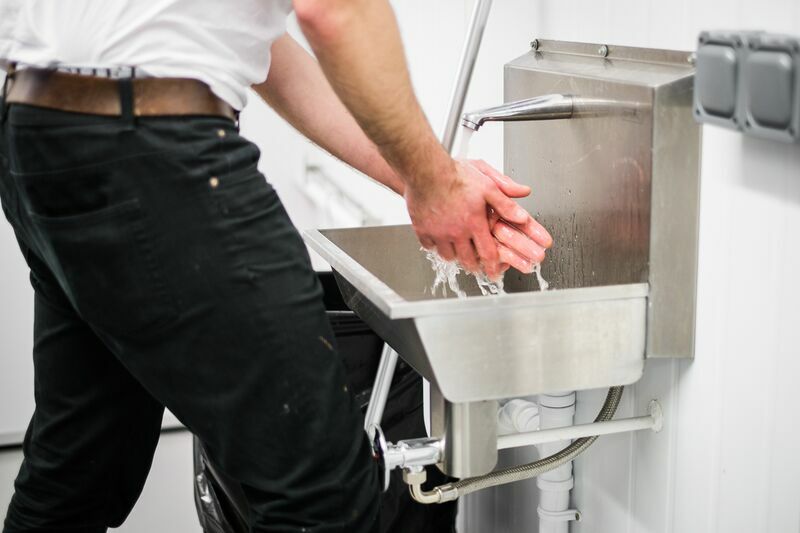 We really believe that there's a huge difference between buying a cleanse and buying a lot of juice – from a juice bar or wherever – and the difference lies in our expertise in managing the cleanse process, our willingness to go the extra mile for our clients and our attention to detail. -Can you tell us about your values and strict organic guidelines? We were the first company of our kind in the UK to become certified organic by the Soil Association. We are really proud to have set the standard on organic. No-one should be claiming to be organic unless they are certified (it's actually against the law). We felt that saying to our customers 'we will use organic ingredients where possible' simply wasn't good enough. That isn't a reliable external standard for a customer. Yes it's expensive to be certified but it's such an important criterion for many customers buying juices that we wanted to give it the same value. -You use a Norwalk Hydraulic Press Juicer, could you explain what this is and how it differentiates from a household juicer? We use a combination of Norwalks and a larger commercial cold press juicer. The important point of difference is whether a juicer is a cold press. Heat degrades nutrients. Most household juicers are centrifugal and therefore create heat when you operate them. This actually isn't such a big issue if you are going to drink your juices straight away (although additionally a centrifugal juicer normally produces a lower yield and doesn't juice so efficiently with leafy green vegetables) however it becomes really important if you want to store your juices and drink them later or over a longer period like a cleanse. -There is a lot of science behind the power of juicing. Could you tell us more about how juicing benefits the body in addition to eating a healthy balanced diet? Juicing is such an easy way to consume a vast array of quick to absorb nutrients. It's like the ultimate nutritious fast food. In our view, it's so much better to get your Vitamin C, for example, from a fresh juice distilled from natural ingredients that your body recognises than it is to pop a synthetic supplement. -As entrepreneurs and as mothers, how do you manage to keep a successful balance between your business and family life? That really is the million dollar question, and it honestly is a challenge each and every day. We are so grateful that we both have young children at the same time as it gives us a similar perspective and a lot of empathy. It also means we can laugh about the harder days, rather than cry! We both spend as much time with our children as we can and try to work around them. Babies come to the office (before they can crawl and cause mischief) and we will leave early to do a school or nursery pick up before logging on in the evening again once children are in bed. It's easier said than done, but we make a concerted effort to be present with our children and not distracted by work. We also try to take time off which is dedicated family time and ensure that the team at the office do their best to respect a 'do not disturb' policy, unless it's something genuinely important and time-critical. -What would your best advice be to other working mothers, that you have learnt from personal experience? Make sure you have really good childcare and that you know how it's going to work in all situations. What will you do if your nanny or childminder calls in sick, or your child is sick and can't go to nursery, and you're meant to be attending a critical meeting? Who will be your back up? What will you do during school holidays? Don't engage the minimum amount of childcare so that whenever you are not working you are looking after children. We have both done this – it's natural to want to spend as much time with your children as possible, and probably also as little money as possible on childcare. However it's vital to find some me-time, otherwise everything becomes too exhausting and you don't give your best at work or at home. Clare, you suffered from a stomach condition whilst working in London at a private equity fund. Could you tell us what measures you took in transforming your body back to health, through the benefits of juicing and your change of career? It was a pretty radical lifestyle overhaul! I was lucky to be under the guidance of a fantastic nutritional therapist, who gave me a strict set of guidelines for eating for six months, and this included giving up wheat, dairy, sugar (in all it’s forms, bar an apple a day), yeast, any fungus or mushrooms, alcohol, reducing my meat intake and avoiding any processed or ‘white’ foods. It was really tough to start with but after a couple of weeks I could see and feel such dramatic change that I didn’t mind, and it opened up a whole new world of food for me. I was also lucky that Christina was training as a nutritional therapist, so I had great support from her too, and she suggested that I go on a juice retreat in Spain for a week. That week long juice cleanse was transformative and really helped me deal with a lot more issues. It also helped me to decide to make the leap from finance to working in the wellbeing industry. How are you planning on growing Radiance Cleanse in the coming years? We have just launched a new range of retail juices, cold brew coffees and nut mylks called Radiance Daily. This has been more than a year in the making so we are super proud of it. Daily is the lifestyle arm of Radiance. Where you would use Cleanse for a seasonal reset or after an illness, that is to say with a more remedial approach, Daily is your everyday maintenance. We've designed it as a range that encompasses a healthy upgrade to pretty much all the drinks you might get through in a day. The website is www.radiancedaily.com or check out our Instagram on @radiancedaily. What would your main advice be to others who are looking to start their own companies, leave their current jobs and follow their dream careers? -What were the most valuable lessons you learnt along the way? At a certain time you just have to be brave and go for it. There's a point you reach where you're thinking that you have to stick in your current job to keep financing yourself to build up the new business, but on the other hand the new business will never grow big enough for you to leave your current job unless you give it your full attention. That isn't a sum that will ever add up, so save as much money as you can and then take a calculated risk. One of Clare's favourite quotes is “take fear out of the future and put passion in the present”. Be brave, especially because if you have a good idea for a business the harsh reality is that it won't be your idea only for long, so it's a case of act now or live to regret it. Our other core piece of advice is don't set up a business solo if you can do it in partnership with someone you trust. We both bring such different skills to Radiance and there have been so many hurdles over the years that supporting each other has been the only way we've survived. When you're down, you need someone else to pick you up. And when you're thinking something is impossible, you need your best friend and business partner to remind you that it always seems impossible until it's done.